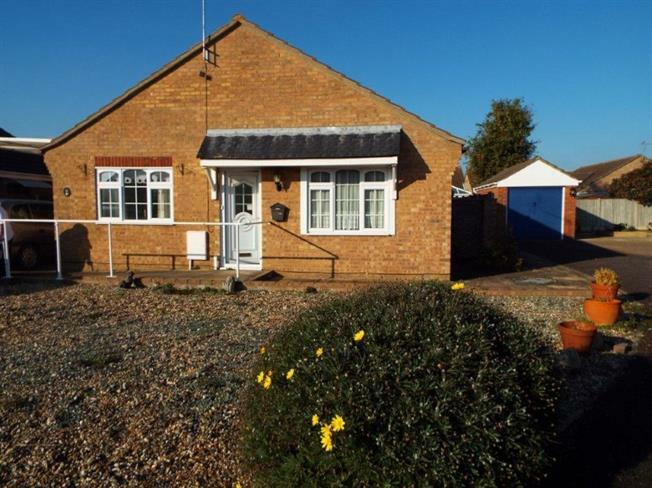 3 Bedroom Detached Bungalow For Sale in Clacton-on-Sea for Guide Price £240,000. Bairstow Eves are pleased to offer for sale this three bedroom detached bungalow located on the popular surroundings of the Grange Park development. The property features lounge, kitchen, en-suite to master bedroom, shower room, garage, off road parking and enclosed rear garden. The property is situated within a mile and a half of Clacton town centre and mainline train station giving you direct links to London Liverpool Street so please call to arrange your viewing. Radiator, carpeted flooring, built-in storage cupboard, spotlights. UPVC back double glazed door, opening onto the garden. Double glazed uPVC window facing the rear overlooking the garden. Radiator, carpeted flooring. UPVC side double glazed door, opening onto the garden. Double glazed window facing the rear overlooking the garden. Radiator, vinyl flooring, tiled walls. Fitted units, single sink and with mixer tap with drainer, integrated oven, integrated hob, over hob extractor. Double glazed window facing the front. Radiator, carpeted flooring, a built-in wardrobe. Heated towel rail, carpeted flooring, tiled walls. Low level WC, walk-in shower, wall-mounted sink. Double glazed window facing the side. Radiator, tiled walls. Wet room, pedestal sink. Double glazed window facing the side. Tiled flooring, tiled walls. Low level WC, top-mounted sink.